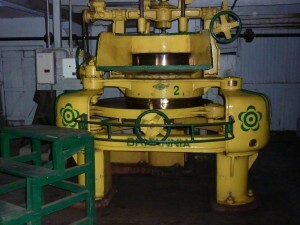 The way tea is manufactured and produced varies throughout the world and between teas. However there are some essential shared principles. If you were to visit a tea factory in Darjeeling or Assam you would witness several stages, as outlined below. To grow and produce tea takes a great deal of skill and at each stage of the process a high level of knowledge and expertise is needed to ensure a consistent quality. In Darjeeling the tea growing season begins in March and runs through to November. The tea bushes rely upon an increase in warm weather and some early rains to stimulate spring growth. 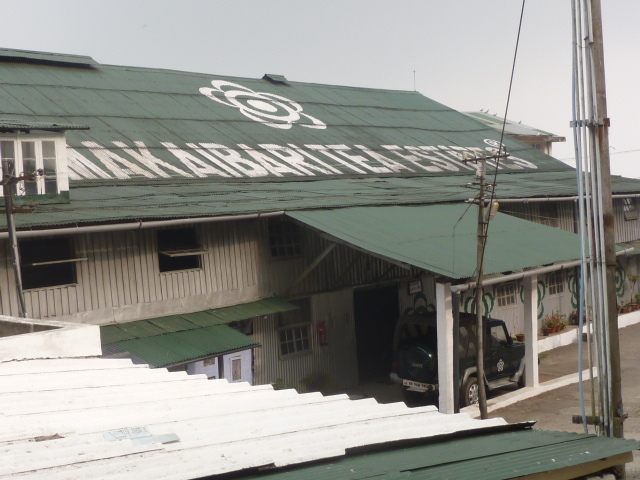 As with most Darjeeling estates, at the Makaibari estate tea is produced in the traditional orthodox way, beginning with the careful picking of just the tender bud and two leaves of the new growth. The early pickings maybe sparse and will produce the highly sought First Flush black tea. Depending on the weather this early season can be short. In 2010 the rain came late and so yields of the First Flush were much lower than usual. With the first season over by about mid-May and growing conditions improving the main season gets under way. This is when the more popular Second Flush black teas are produced. In Darjeeling the delicate ‘muscatel’ flavours and aromas become more prominent in the black tea produced during this period. They are described this way as they resemble the gentle, sweet and floral aroma of the muscat grape. During this season the bushes, producing new tender shoots more frequently than during the earlier season, will be picked around every 4 or 5 days. It is not till later in the growing season, after the Second Flush black teas have been manufactured, that conditions are best for the production of green, oolong and white tea. The leaves are picked throughout the day and transported as soon as possible to the on-site factory where they are placed along narrow, meshed ‘withering’ troughs. Here the leaves are left for about 15 hours. The purpose of this stage is for the leaves to lose excess water. Moisture in the leaves is reduced by about 70%. To help the process air is blown through the base of the troughs. From the withering troughs the leaves are transferred to rolling machines. Rolling the leaves helps to create the leaf style and prompts the process of oxidation (sometimes referred as fermentation.) 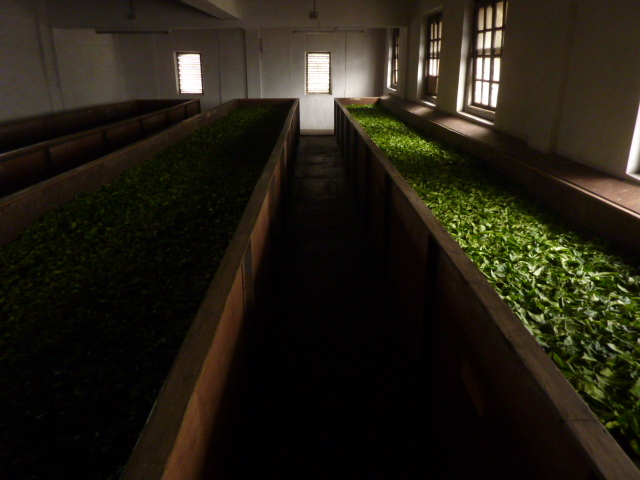 After rolling the leaves are laid out in a temperature controlled room and allowed to fully oxidise. It is worth noting here that green teas do not go through oxidation. For green teas the leaves are steamed before rolling to arrest oxidation. 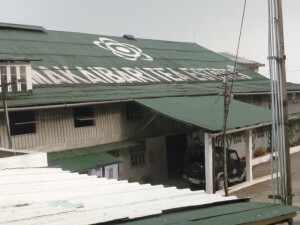 The Makaibari estate does not produce black teas during the monsoon period from late June, when humidity is at its highest, as the withering process becomes difficult. So this is when the green teas are produced. 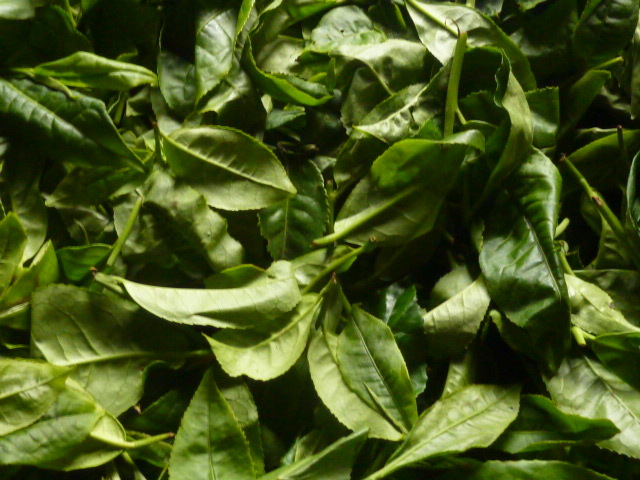 Oxidation is a relatively short but critical stage for the black teas. This is when all the natural chemical processes take place, essential in developing the unique flavours, aromas and infusion of the tea. During oxidation the leaves turn from green to deep brown and if this stage is left for too long the tea can be spoilt. 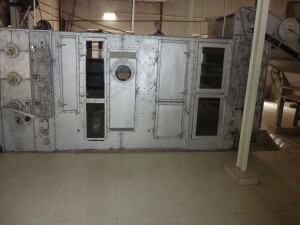 When oxidation has taken place the final stages begin with the leaves being fired or baked. The leaves are passed through ovens at an extremely high heat reducing the moisture to about 3%. A factory producing orthodox teas will in the very last stage grade the teas. They sort and sift the leaves and the largest and finest leaves, with their structure intact, will be classified the highest grade (FTGFOP- Finest Tippy Golden Flowery Orange Pekoe.) The dust or fannings of the lowest grade will be sold separately often going into tea bags or to be blended. 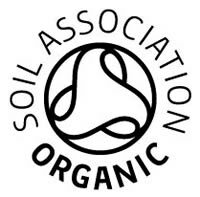 Outside the growing season workers take holiday, maintain equipment, prune the tea bushes (these can last up to 70 years if carefully looked after,) and plant out young saplings. James planting out tea saplings during his visit to the Jamguri Estate in Assam.